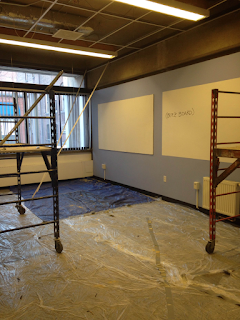 Over Winter Break, Facilities began construction for our brand-new office. Located in the back corner of the first floor of 320 Newbury, the new Office of Student Life will serve as both office space and collaborative student space. Stop by when you return to campus! Our temporary office is located on the Bridge adjacent to the Loft. Come check out our new digs and loudly greet passersby in the lobby with us! 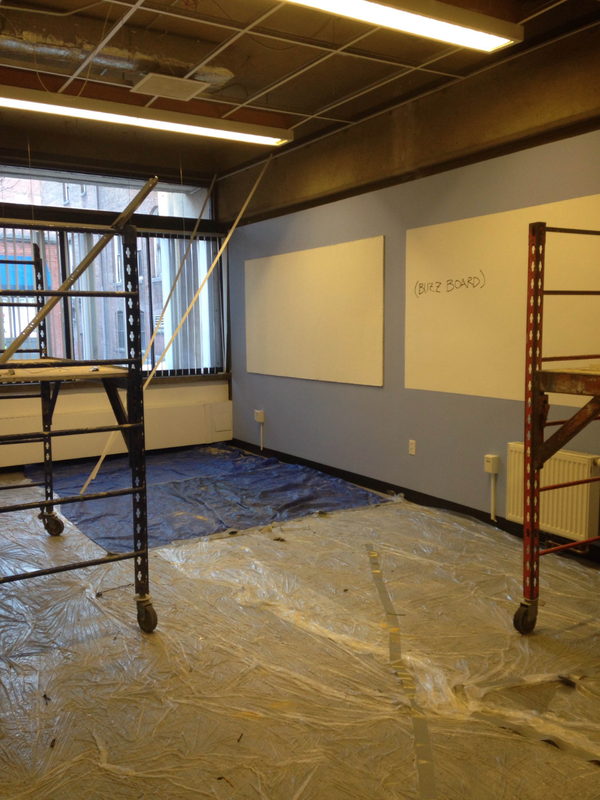 Stay tuned for more updates on construction, including our official move-in date and pictures of our new space.